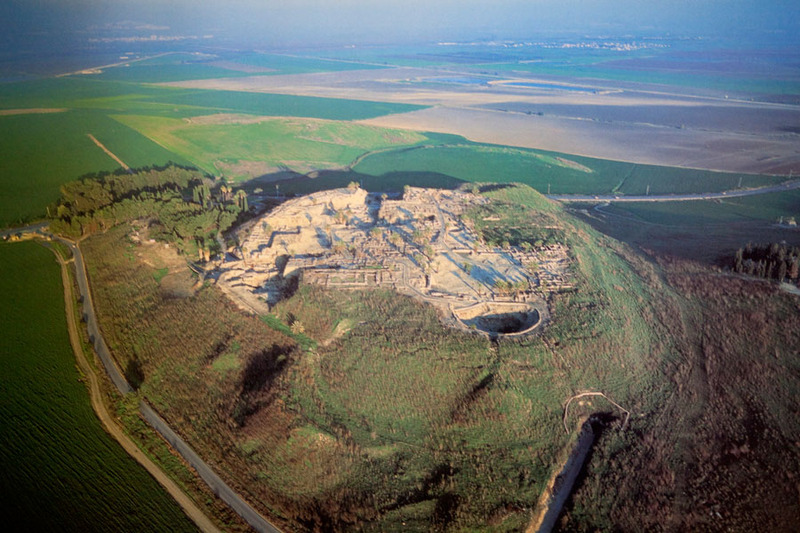 There is a very good reason why the meme of Armageddon is based on the original conflagration that took place at Megiddo, the site of an ancient city in northern Israel’s Jezebel valley. Megiddo is also known as Greek: Μεγιδδώ/Μαγεδδών, Megiddó/Mageddón in the Septuagint; Latin: Mageddo; Assyrian: Magiddu, Magaddu; Magidda and Makida in the Amarna tablets; Egyptian: Maketi, Makitu, and Makedo. 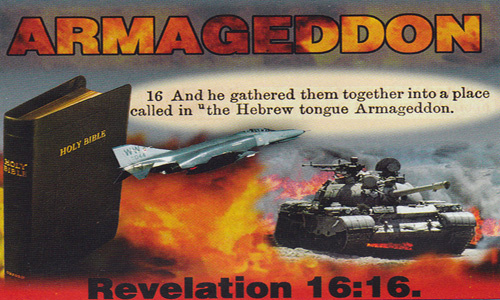 The Book of Revelation mentions an apocalyptic battle at Armageddon, a name derived from the Hebrew “Har Megiddo” meaning “Mount of Megiddo”. 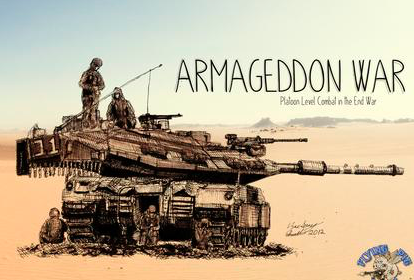 “Armageddon” has become a byword for the end of the world. Battle of Megiddo (15th century BCE): fought between the armies of the Egyptian pharaoh Thutmose III and a large Canaanite coalition led by the rulers of Megiddo and Kadesh. Battle of Megiddo (609 BCE): fought between Egyptian pharaoh Necho II and the Kingdom of Judah, in which King Josiah fell. Battle of Megiddo (1918): fought during World War I between Allied troops, led by General Edmund Allenby, and the defending Ottoman army. The final conflagration for the current race of humanity has been prophesied over centuries to occur at Armageddon. 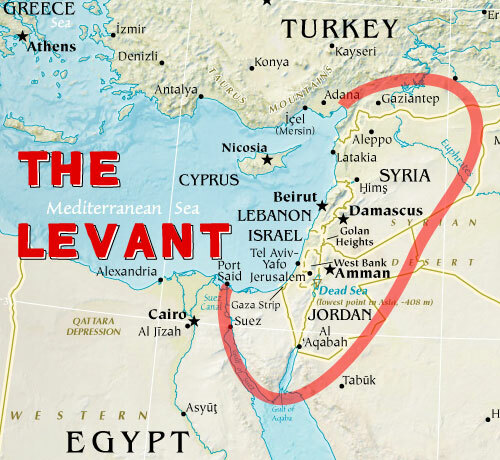 That does not necessarily mean the exact location of Tel Megiddo, although anything can happen from this point forward practically anywhere in the Levant. The rapidly changing circumstances in Syria especially are both extremely volatile and dynamic. Both sides of the conflict have never been so dug in, although for completely different reasons. To greatly complicate this evolving WWIII scenario, there are a variety of pacts and treaties which have bound together and torn apart both friends and enemies alike. Loyalties now exist between unlikely partners just as animosities are brewing between scripted allies. The whole Middle East is being set up to explode like a massive tinderbox that has been baking in the Middle Eastern desert for eons. Each day that passes brings formidable obstacles to peace and legitimate justifications to go to war. This unfolding geopolitical chessboard in the Levant is literally a prelude to the Armageddon — real or imagine — of the Book of Revelation. Truly, what is taking place in Syria at this very moment is a tragedy that has taken on biblical proportions. The final battle is shaping up before our eyes, and yet very few even understand the profundity and enormity of the cascading events. What has essentially transpired in Syria and Iraq and the contiguous countries is that they have become the dumping ground for pent-up hostilities. Even traditional friends are becoming angry at each other on this expanding battlefield. However, the incessant combat is really being incited by those who are not domiciled anywhere near the region. Those powerful nations, which have no reason to be present in Syria, are forever looking at ways to pit Muslim brother against brother. The primary manifestation of this war-mongering is occurring between the two major sects within Islam— the Shiites and the Sunnis. The Western powers have forever exploited this fraternal tension for the sake of controlling both land and resources, particularly oil and gas reserves. The global hydrocarbon fuel paradigm has seen to it that the Mideast would be the most sought after location on Planet Earth. And so it has been. Inasmuch as various countries in the region possess vast amounts of petroleum reserves, it has become a magnet for the richer nations. This has become a HUGE problem for every resident of the Middle East. So serious is it that many war refugees now make a long trek northward even avoiding the more familiar destinations of other Arab and/or Muslim nations. These forced migrations actually see millions of traditional and conservative Muslims leaving their homelands to arrive in a much different European culture. The highly permissive society of Europe is quite foreign to them, yet they continue to migrate to Northern Europe in the hope of a job. This massive social engineering experiment is at the very heart of the purposefully engineered wars. The racial and religious demographics of the entire European Union (EU) are being deliberately altered in order to create a more malleable supranational state entity. In this way there will ultimately be very little resistance to the totalitarian government that has been inexorably shoehorned into place as the various EU organs of governance. Both Germany and France are being used to implement this NWO agenda. The Paris 11/13 false flag terror attacks are just one example of their methods and tactics. So were the staged Charlie Hebdo terrorist shootings. The historical polarities of the Mideast are therefore being steadily exported to the Eurozone. The conflicts between Sunnis and Shiites are likewise being exacerbated around the globe. The recent payment by Saudi royal family to the Malaysia Prime Minister Najib Razak, as an example, was made in order to buy state oppression of the Shiite Muslims throughout that nation. Because the fires of religious conflict are being relentlessly inflamed everywhere, the general condition of international relationships has never been worse since the two world wars. This is by purposeful design. Those who scheme to establish a One World Government see a Third World War as their last chance to fulfill their New World Order (NWO). They know that the Mideast possesses the potential to trigger a global conflict, especially the Syrian theater of war. The NWO globalists are also desperate to pull the plug on the current Global Economic and Financial System as it is no longer sustainable. The markets are all on life support just as the world community of nations is one step away from the 2nd Great Depression. Usually the ruling cabal will trigger the economic collapse or financial crash first in order to soften up the national populations to readily go to war. In this way the chaos of war distracts the people from all the crimes by their leaders, and especially the betrayals by their governments. HINT: Let’s get serious for a moment. Most of us know by now that the Crash of ’29, as well as the Great Depression that followed, were the main events of an intricately engineered financial and economic Armageddon calculated as a necessary prelude to the real Armageddon known as WWII. Historically speaking, a man without a job, or prospects for employment in his homeland, is much more likely to hire himself out to his guvment as a mercenary fighting in a foreign land. Hasn’t this been their (TPTW)* formula for both war and wealth creation for eons?! Although it has always worked like a charm, wethinks the charm has finally worn out. Yes, that old-fashioned Hegelian dialectic based ‘problem – reaction – solution’ MO has seen its final days. We also think their misbegotten plan to foist WWIII upon us has somehow been thwarted by the real TPTB. Yes, they’ve finally been snookered! Where does this fastidiously fabricated predicament leave the planetary civilization in 2016? Everything that is occurring in the Mideast is leading up to a major false flag event and/or egregious provocation perpetrated by way of a Zio-Anglo-American blackop. The purposeful pitting of Saudi Arabia against Iran, Turkey against Syria, and Israel against Palestine only serves to create conducive circumstances for a major war to break out. Clearly the CIA, MI6, DGSE, GID and MOSSAD have been hard at work setting up the Levant battleground so that eventually all hell will break loose, just like they did with ISIS. The whole ISIL project has been an integral part of this plan to bring on Armageddon just as the Islamic State caliphate was created by the same co-conspirators. 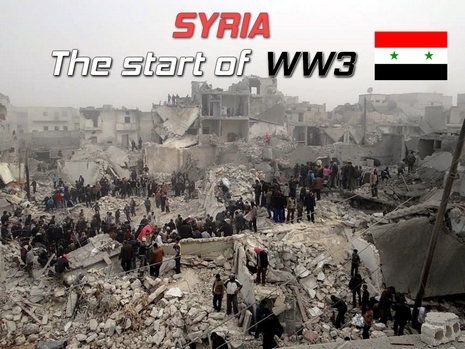 Only through Russia’s entry into the Syrian War was the Zio-Anglo-American deception laid bare for the world to see. 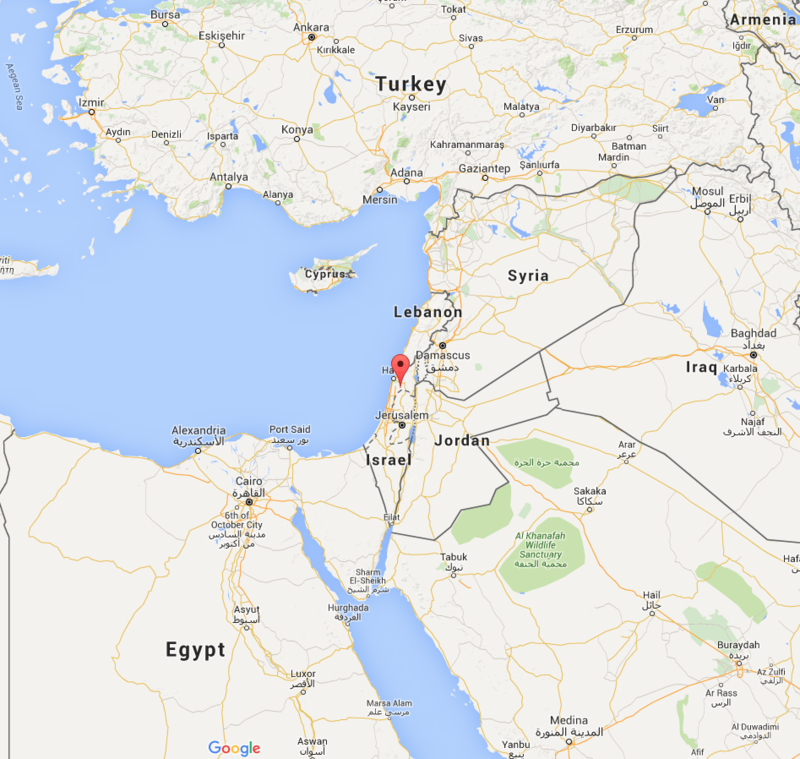 There can only be one conclusion to this very concerning development in the Mideast. The whole human race stands on the precipice of a planet-wide cataclysm. Although the battlefield has been painstakingly constructed, the war can only happen if the warriors show up. Thus far, many have appeared on the fringes of Armageddon, both literally and figuratively. Still others are on the battleground in full combat gear, some getting annihilated as this article is written. Should those Middle Eastern nations such as Turkey and Saudi Arabia be goaded into war by their Anglo-American overlords, there’s no telling what can happen. Putin’s Russia along with Iran are determined to hold the line against anymore attacks on the sovereign nation of Syria. Therefore, one thing is very clear: Should the AAA choose to use their cat’s paws in Syria, they will be chopped off. What happens after that is anyone’s guess. The immediate future will be determined by whether the sane or insane prevail in both Turkey and Saudi Arabia. Both nations have proven repeatedly that they are ruled by madmen and psychopaths of the highest order. Hence, the only way out of this demanding plight is divine intervention. The best way to draw the grace necessary to resolve this conflict is prayer and fasting, meditation and repentance. Through a global prayer initiative the devastating calamity of a World War III can be averted. It’s quite true that “deus ex machina” can manifest at any time, in any place and in any way. For those who know the scriptural prophecies by heart, perhaps it’s time for them to understand that even Armageddon can be avoided. The Apocalypse can only become a reality if enough incarnated souls will it into existence. Lastly, it is crucial for humankind to comprehend the notion that “prophecy is uttered to avert catastrophe, not predict it”. For those who are unaware the following link explains in graphic detail what the world community of nations ought to be doing its level best to avert. Now everyone knows why it’s so imperative to put their hands together in prayerful supplication … … … and keep them together until this epochal firestorm has completely passed. Is the forced exodus from Syria, as well as the other mass migrations from the Middle East, occurring to get those refugees out of harm’s way (i.e. as far away from the battleground of Armageddon as possible)? 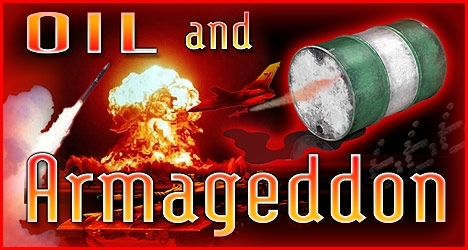 Everyone knows by now that it is not “If”, but “When?”, the Mideast powder keg will blow up. There is so much pent up emotion among so many involved parties that it is clearly the apocalyptic destiny of the region to explode in some fashion. As to when, the following timeline is provided by a Vedic astrologer who also offers some keen insights on the whole year of 2016. Let me just say that March is a huge turning point, and in April, Mars is going to go retrograde. This is approximately April 17. On that day, Mars will turn retrograde and so will Pluto. This is huge, and this can represent a major outbreak of some kind of event that changes consciousness, changes the world and I just have to say from that point on in April, everything will be different. In March, around that solar eclipse, Saturn will be squaring Jupiter. This always has an effect on the economy. So you’re going to start seeing the stock market start to go down, you’re going to see a big change in fear around money, and a serious somber feeling that starts to occur in March. Then April, people start fighting back. There’s strife, there’s incredible intensity. Why does the World Shadow Government destroy its own home (planet)? The Red Marker identifies Tel Megiddo (aka Armageddon) in Israel.